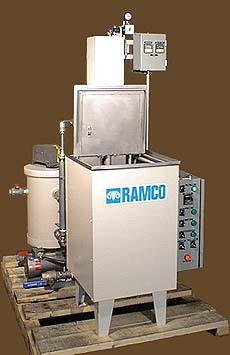 Small cell washing systems is a specialty at Ramco. 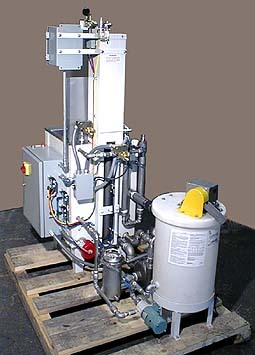 We have designed and built a number of washers dedicated to cellular and one piece flow manufacturing. Each washer is specifically engineered to use a minimum of floor space without compromising the required performance. Using Ramco dynamic flow combinations (platform oscillation used in conjunction with solution turbulation) provides highly effective cleaning for a wide variety of soils. 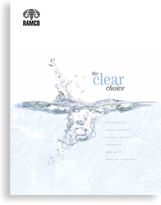 The above system is designed for dual zone processing within a single process chamber. A special oscillating pneumatic cylinder is engineered to reciprocate in both an upper zone and a lower zone. The process uses immersion washing (agitation/turbulation) in the lower zone followed by compressed air blow-off in the upper zone. The washing stage also features SurfaceSweep oil removal and ChipSweep chip filtration.